In summer, high levels of ozone (O3) are frequently measured at both Galicia and Northern Portugal air quality monitoring stations, even exceeding the limit values imposed by legislation. This work aims to investigate the origin of these high O3 concentrations by the application of a chemical transport modelling system over the northwestern area of the Iberian Peninsula. The WRF–CHIMERE modelling system was applied with high resolution to simulate the selected air pollution episodes that occurred simultaneously in Galicia and North Portugal and in order to study both the contribution of local emission sources and the influence of transboundary pollution. Emission inputs have been prepared based on the development of the Portuguese and Galician emission inventories. The obtained results for O3 have been evaluated and validated against observations. Modelling results show possible contribution of the transboundary transport over the border of two neighbour regions/countries, indicating that the O3 episode starts over the urban and industrialised area of North coast of Portugal, reaching the maximum peaks over this region; at the same time, O3 levels increased over Galicia region, where lower concentrations, but still high, were observed. These results pointed out that air quality management should not be driven by political boundaries and highlight the importance of joining efforts between neighbouring countries. 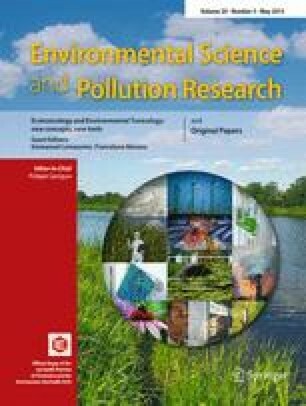 The authors acknowledge the Portuguese Environmental Protection Agency, MeteoGalicia, Laboratorio de Medio Ambiente de Galicia (Xunta de Galicia) and As Pontes Power Plant (Endesa) for the observational dataset support. The authors gratefully acknowledge the NOAA Air Resources Laboratory (ARL) for the provision of the HYSPLIT transport and dispersion model and/or READY website (http://www.arl.noaa.gov/ready.php) used in this publication. Thanks are extended to the Portuguese ‘Ministério da Ciência, da Tecnologia e do Ensino Superior’ for the post-doctoral grants of A. Monteiro (SFRH/BPD/63796/2009) and J. Ferreira (SFRH/BPD/40620/2007). PhD grants of A. Rodríguez and M. Dios (‘María Barbeito’ Programme) and the research stay abroad grant of M. Dios (09.02.561B.444.0) at the University of Aveiro were supported by Xunta de Galicia regional government. This work was developed as part of the project ‘XIMERE/FUXIMERE’ (10MDS009E), also with support of Endesa Generación, S.A. (‘Characterization of ozone episodes’) and Troposfera S.C. (‘Collaboration in air quality modeling over Galicia’).